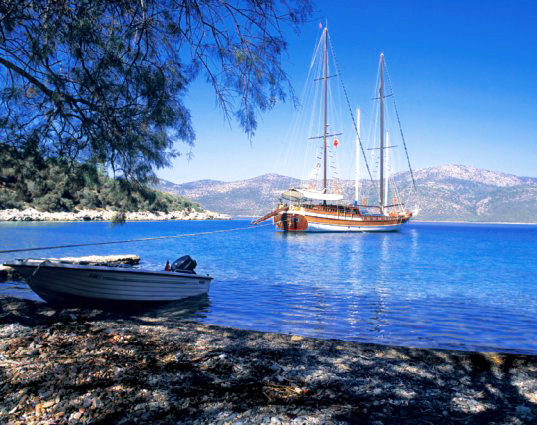 The southwestern Turkish riviera enjoys a warm climate through the whole year and has number of popular tourist resorts, including, Datca, Bodrum, Marmaris, Fethiye, Dalaman and Antalya, as well as more traditional towns such as Kas and Kalkan. 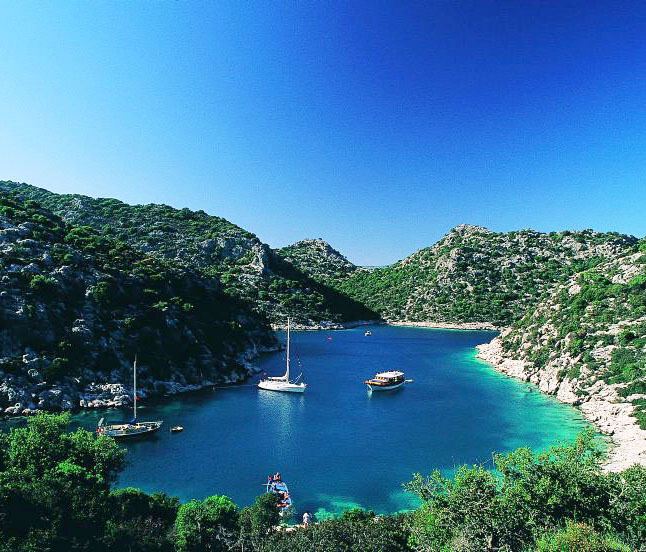 The Turkish Riviera has a vast landscape from miles of picturesque coastline to lush green forests further inland. 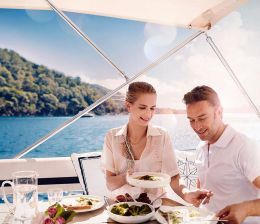 The area is served by three main airports at Dalaman, Bodrum/Milas and Antalya international airports, which can be reached from a number of European airports directly. 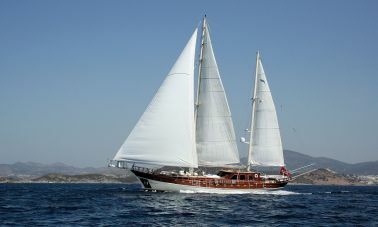 Indeed, and many yacht charter Turkey holiday makers who visit the region choose to explore the region as part of their holidays in Turkish riviera by yacht charter Turkey, offering the opportunity to visit a number of beautiful beaches, picturesque islands and 400 b.c old ancient Lycian, Karian, Greek, Roman, Byzantinian, Selcuk and Ottoman ruins along the way. 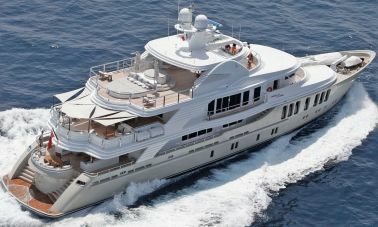 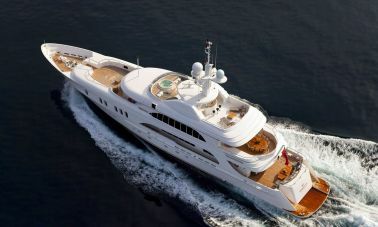 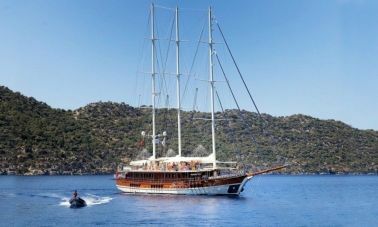 The famous yacht charter Turkey is one of the best ways to see some of the main sights along what is known as the Turquoise Coast, The clear blue waters of the Eastern mediterranean and Aegean Sea. 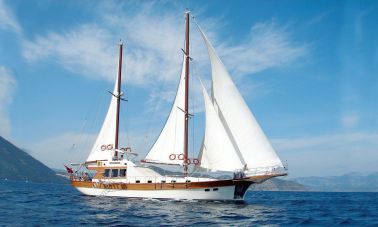 There are also fast ferry trips available over to the island of Rhodes, where you can shop and explore this ancient city. 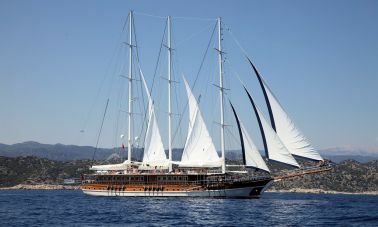 The port town of Bodrum is famous for its ancient architecture including the ruins of the Mausoleum of Mausolos and Bodrum Castle, which overlooks the Municipality marina and as being base for a wide variety of excursions and water sports including coastal cruises. 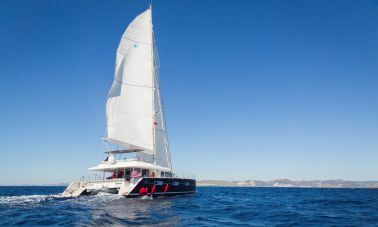 Taking a boat tour during your visit can be one of the best ways to enjoy many of the main sights and relax on white sandy beaches along the way. 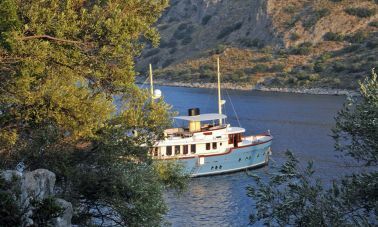 Further inland Turkish riviera there are opportunities to take tours of ancient ruins, as well as indulging in a relaxing massage at many of the Turkish baths around the region. 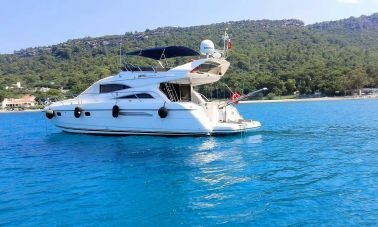 The coastal city of Marmaris has grown into a resort city in recent years, having evolved from the small fishing village of decades ago, into a vibrant cosmopolitan resort, and remains one of the most popular tourist destinations yacht charter Turkey Riviera. 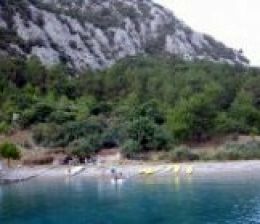 The city of Antalya is one of the most popular destinations in the region, described by many as the gateway to Turkish Riviera and has a number of beach resorts and one of the largest concentrations of five star hotels anywhere in the world. 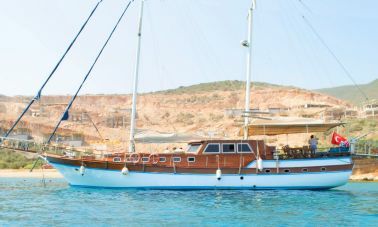 Southwestern Turkey Yacht charter routes are considered to include the most beautiful places and Archeological sites. 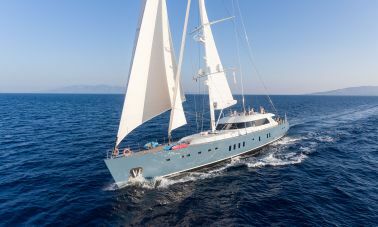 You might want to get detailed information about the routes and itineraries from Akasia Yachting. 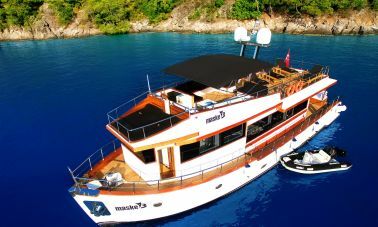 If you are a first timer in yacht charter and wondering the southern turquoise waters of Turkey for an unforgettable yacht charter on board a Luxury gulet or motor yacht charter Turkey, we suggest that shorter trips would be more adecuate for you such as Gocek – Fethiye – oludeniz – Gocek rotation would be ideal for beginners and if you are an experienced voyager we can propose you different routes in the Aegean or mediterranean to enjoy the chrystal clear, turquoise bays where you feel like the king of the place. 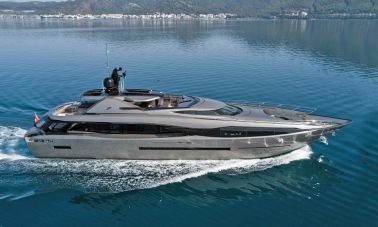 we can propose you the most beautiful routes, with Gulets or motor yachts illustrated with high resolution pictures that you might have trouble choosing the best amongst the rest. 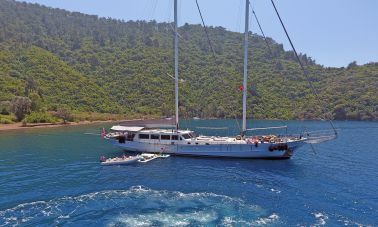 We invite you to join us for an exciting yacht charter Turkey called the Blue cruise, a perfectly organized Gulet charter in Turkey with utmost privacy and confidentiality to give you and your loved ones the peace of mind, where lycian, Karian, pamphylian civilizations left numerous archaelogical remainings such as, Olympos, Phalesis, Xhantos, Patara, Letoon, Myra ancient ruins welcomes you in each and every bay where you drop anchor on a luxurious yacht charter Turkey, relaxed while sipping one of our delicious Anatolian red wines accompanied with Turkish variety of meze plates served by the yacht crew. 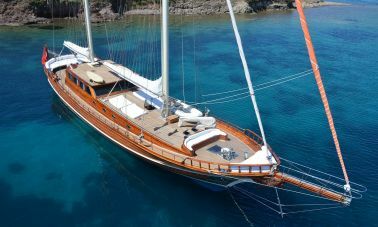 Spend some time with your loved ones, Show them that you have a real taste for romance and fantasy on board a luxury gulet charter in Turkey.